The International Olympic Committee executive board voted last month to support a six-nation tournament that year in both baseball and women’s softball, and the full IOC is to vote in August on the inclusion of the World Baseball Softball Confederation for the Tokyo Games, which are scheduled from July 24-Aug. 9. Baseball became a medal sport for the 1992 Barcelona Olympics but was dropped for the 2012 London Games and won’t be played next month in Rio de Janeiro. MLB is reluctant to stop its season for the Olympics, and players are reticent to play anywhere other than the big league stadiums they are accustomed to. The IOC wants the top players to appear in the Olympics, and Nippon Professional Baseball owners seem open to interrupting their season for the Tokyo Games. The NBA has sent its players since 1992 and the NHL since 1998 — although the NHL has not yet committed for the 2018 Games in Pyeongchang, South Korea. In 2008, only those not on 25-man big league rosters as of late June were allowed to compete in the Beijing Games. The U.S. team included Jake Arrieta and Stephen Strasburg — both All-Stars this year. Cuba won gold medals in 1992, 1996 and 2004, the U.S. in 2000 and South Korea in 2008. Nippon Professional Baseball’s owners have signed off on a policy of interrupting the 2020 season while the Tokyo Olympics are taking place. “We will support the Olympics — a national event — in every way,” Hanshin Tigers owner Shinya Sakai said after NPB Owners Meeting convened on Monday. Although the length of the Olympic break has yet to be determined, the policy was agreed to at an executive committee meeting a week earlier. The Owners Meeting is NPB’s ultimate decision-making body. The owners’ stance is seen as an incentive for the International Olympic Committee, which will vote in August on whether baseball and softball tournaments will be included in the Tokyo 2020 Games. If baseball is included in 2020, the games are expected to be played mainly at Yokohama Stadium. Yokohama Stadium will be inspected by a delegation from the World Baseball Softball Confederation (WBSC) next week with a view to using the venue at the Tokyo 2020 Olympic Games, according to reports in Japan. The 30,000-seater facility, which opened in 1978 and is the home of Japanese Central League side the Yokohama DeNA BayStars, could host matches at the Games in four years’ time. A joint bid from men's baseball and women's softball is one of five new sports set to be added to sport's biggest stage, along with karate, skateboarding, sport climbing and surfing, subject to approval at the International Olympic Committee (IOC) Session in Rio de Janeiro. The WBSC has denied reports that the facility in Yokohama is their preferred option, who are keen to cement plans for where baseball and softball games will take place if they get the green light from the IOC as expected. insidethegames understands the WBSC are due to have meetings with Tokyo 2020 in the next few weeks, with venues expected to be high on the agenda. "WBSC will meet unofficially with Tokyo 2020 following their feasibility study on potential venues," a WBSC statement sent to insidethegames read. "At this stage of the process, WBSC is fully open to reviewing any potential venue plans with Tokyo 2020 and the IOC, and WBSC already has detailed venue reports on the crown jewel Tokyo Dome, the Sapporo Dome and Iwaki Green Stadium, as well as other venues, due to our past or upcoming events. 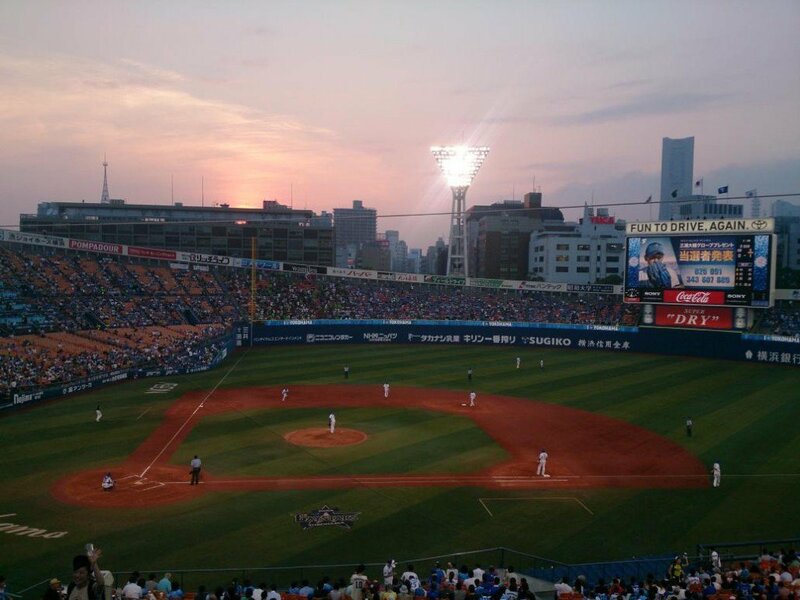 "In Tokyo and across Japan, there exist millions of baseball/softball fans and many world-class baseball stadiums, which are homes to clubs of our Associate Member, Nippon Professional Baseball. "We are looking forward to further discussing ways to apply IOC President Bach’s Agenda 2020 vision ahead of the vote in Rio." The 55,000-capacity Tokyo Dome, a multi-purpose arena which is predominantly used by the Yomiuri Giants baseball team, and the Chiba Marine Stadium have also been considered. The Tokyo Dome is seen as one of the most iconic venues in the country and would perhaps be the favoured choice of the Japanese public. Kyodo News has reported that Nippon Professional Baseball, the highest-level of the sport in the nation, will look to change its season to accommodate the Olympic tournament at Tokyo 2020 should baseball and softball be formally accepted. Earlier this year, Tokyo 2020 Olympics Minister Toshiaki Endo claimed they may look to stage baseball and softball events in disaster-hit Fukushima. Endo met with IOC President Thomas Bach to discuss the idea. The region was struck by one of the worst natural disasters to ever hit the country in 2011 when a devastating earthquake and tsunami caused a nuclear accident at the Fukushima Daiichi Nuclear Power Plant. A total of around 16,000 people lost their lives in the disaster. The damage caused by the tsunami produced equipment failures and as a result, three nuclear meltdowns occurred, prompting the release of radioactive materials　It is considered the largest nuclear incident since the Chernobyl disaster in 1986.